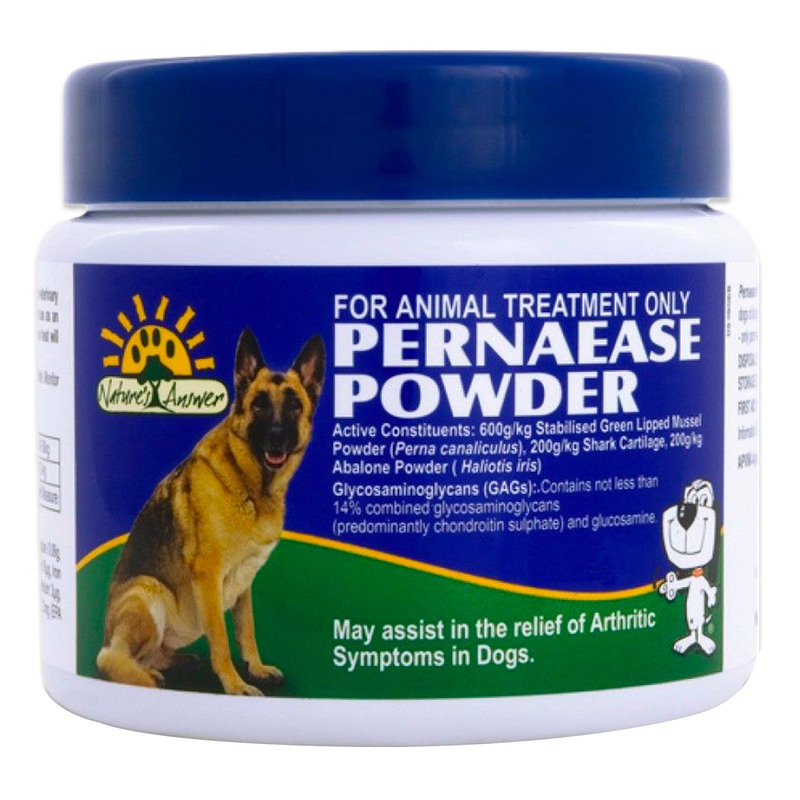 Pernaease Powder is an enriched formula for improving joint health in dogs. It eliminates signs of arthritis by supporting the connective tissues and replenishing the synovial fluid in the joints. The potent ingredients in Pernaease powder initiate cell growth for cartilage regeneration and helps relieve stiffness in stressed joints. Its anti-inflammatory properties also eliminate pain in arthritic joints. Pernaease powder is a powerful composition of Green Lipped Mussels, Shark Cartilage and Abalone Powder that facilitate joint metabolism. The Glucosamine and Chondroitin sulphate provided by these ingredients synergistically work in lubricating the joints and repairing the withered cartilage and other connective tissues supporting the bone. Green Lipped mussel, specifically, is a rich source of both of these ingredients as well as zinc and magnesium. Chondroitin sulphate enhances the action of glucosamine thereby aiding the process of cell regeneration in joints. Mix the powder with food or water and administer it once daily as per the weight of the pet.